I initially started my blog on a whim without actually realizing what an important role blogging can play in a person's life. After I began blogging last year, for a long time I did not take any steps to direct traffic to my site. I just let things be. I used to post anything and everything on my blog and wait for people to accidentally hit upon these posts by themselves. Of course, I did a few things like sharing my posts on Twitter and Facebook. The only other thing I did was to tell my sister who lives in the UK to share my posts with her contacts. Of course, this led to her friends reading my posts and I got plenty of hits on my blog from the UK. I never participated in any blogging competition. I have been working in the software industry for the past twenty-seven years and honestly, I am fed up with it. I am bored and I am looking for a change in career. I want to do something that I like and at the same time something that is not too strenuous. 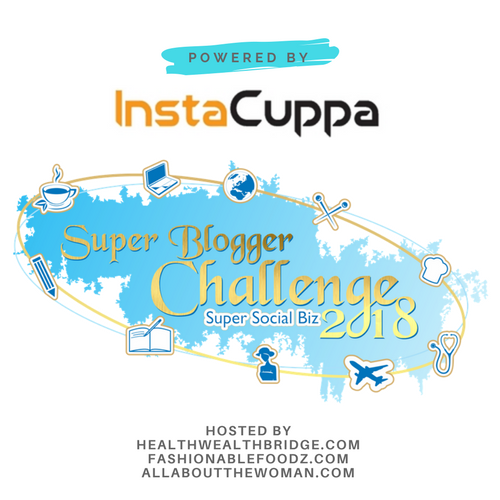 Then I came across a post by Dr. Amrita Basu regarding the Super Blogger Challenge 2018 asking interested people to register for it. Well, I thought to myself, why not? That friends, is how I entered this competition. We are in the sixth week of the Super Blogger Challenge 2018 and the first thing I learned was that blogging can definitely serve as an alternate career for me. When I chatted with some of my co-participants I came to understand that there are people who actually earn six-figure salaries and make their living through blogging. Of course, I always knew that people make a lot of money through blogging but I did not know that one can make a lucrative career out of it. I am really grateful to this competition for enlightening me in this respect. So blogging has now become my main option for an alternate career. And it is thanks to Super Blogger Challenge 2018 that I came to realize this. Of course, I am not exactly in a position to take up blogging full time straight away, but yes, blogging, writing books and writing for brands has definitely become an alternative. And I hope I am able to pursue this soon. The second best thing about the Super Blogger Challenge is that it helps you to learn. You get to know something about the intricacies of blogging because you get to read a lot of blogs by some excellent writers. A number of experienced bloggers participate in this competition and you get to read some really good articles. This helps a person a lot in improving his or her writing skills. Other than that, several exhaustive tutorials are provided during the course of the competition and these tutorials have taught me a number of things. We were provided tutorials on how to monetize a blog, how to use social media like Twitter and Facebook effectively to direct traffic to our sites and other such things. It is not enough to just share your posts on Twitter and Facebook and leave it at that. A number of extra steps have to be taken if you are serious about blogging. I learned the art of building a wide network on Facebook and Twitter. After I joined Super Blogger Challenge 2018 the number of twitter followers I have has increased tremendously. I also learned several other things. Of course, being a software professional I already had knowledge of many things. But Super Blogger Challenge 2018 made me realize that I was simply not paying these small things the attention they deserved. For example, I always knew that it is important to send regular newsletters to the readers of my blog if I wanted to make my site popular. But I was ignoring this completely. It is a very easy thing to do but I never took the trouble. But thanks to Super Blogger Challenge 2018 I realized that if I wanted to seriously take up blogging as an alternate career, I would have to work on the little things that matter. In the very first week of the challenge, we were given the homework of setting up a newsletter subscription form in our blogs using MailChimp. Of course, with the technical expertise I have, I finished the homework in minutes. Initially, it was a bit of a drudgery. But I am now able to realize the effectiveness of doing this homework. Several people have subscribed to my blog's newsletter after I set up the newsletter subscription form on my blog. There are several other small things that have come to light about my blog during my conversations with the co-participants. My blog was having a background and fore-color combination that was not very easy on the eyes. One of the participants suggested I change it and now I have set up a new color scheme which I find is very pleasing to the eye. And I have made friends with several people who have been blogging for more than a decade and have published e-books. They have their distinct style of blogging and this has made me realize that if I have to be a successful blogger I have to develop my own style which people identify as me. The competition encourages free thinking and allows you the freedom to write posts on any topic you like and does not restrict you to a fixed set of topics. I will let matters rest here. Thanks to Super Blogger Challenge 2018 I have found a viable alternate career. I have also learned some very necessary skills to help me manage this career when I take it up after some time. Thank you Super Blogger Challenge 2018 for coming into my life just the right time. Thanks for visiting Mugdha. Yes. we have learned a lot. It is our absolute pleasure that you found blogging to be a wonderful alternate career.I personally love having two important careers .Both give me food for thought and the freedom to always try to choose the right thing. Gratitude for doing this with so much enthusiasm. I think we are doing well if professional like you appreciate our work. Yes, I too am a novice. Learned a lot. Wonderfully summarised Jai. 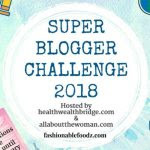 I think the SuperBloggerChallenge does get you to sit up and pay attention to the website and other aspects of blogging other than just writing our posts. Exactly. For nearly an year I was just not taking any extra steps to popularize my blog. It was only after I joined this competition that I started doing things properly. Hi Jai! What a wonderful read...Loved reading your personal experiences and journey so far. I agree that the #SuperBloggerChallenge2018 has been an eye-opening and great learning experience thanks to the efforts of the organizers and hosts and the enthusiasm of the participants. Please read my Week 6 post for #Superbloggerchallenge2018 here: https://thetinaedit.com/2018/03/25/top-5-key-learnings-from-the-super-blogger-challenge-2018-so-far-superbloggerchallenge2018/. Thank You! Yes. So many tutorials and so much effort to guide all of us. It is really a great event. Yes. Zainab. It has been very beneficial for all of us. Thanks for visiting. It is great to be a fellow participant in super blogger challenge with you Jai. Although I have only 10 years of experience in software, yet I am thinking to find another career option. That's why I am giving time to my part time blogging so that in future I can start it as a full time option. Thanks for the compliment Shipra. I am truly tired of software development and honestly I have not been too successful in the field either. So I really feel that I need a second innings where I can perform to my true potential or at least what I believe is my true potential :-). Good to learn that you are ready to switch career. I am sure you'll do great as a full time blogger. Agreeing to all the facts about #superbloggerchallenge2018, given in many other posts, I want to add that this challenge has made me more courageous; I am willing to try new things, Promoting more on social media without worrying how people will react? And yes my following on twitter is on escalator after I joined you guys. Thanks for being good company. Yes. I will do a switch to a blogging career once I am reasonably well established. This competition has definitely given us a lot in terms of learning. I am sure many of us would be drawn towards the blogging as a career option. Such a lucrative option to earn money for something that we are passionate about. I too have learnt many basic stuff through this challenge and have the opportunity to interact and grow with many seasoned bloggers. Agree totally with you. Thanks for visiting. It is always great to read ur posts, because they have personal touch. I always knew that blogging was career to many, but this Contest explained to me how. My job too consumes a lot of brain space but seldom gives me the satisfaction I long for. I hope some day I can make my passion my career.